Do you worry about growing older and wonder if you’re making the most out of these precious years? Imagine how different you would feel if you were moving towards creating the life of your dreams while being surrounded by a community of inspiring and determined women. Together we are more empowered, motivated, and have more fun! For this reason I put together a community of women determined to create the life of their dreams. This yearlong, live, interactive online-training program is your opportunity to lead a more resilient, joyful, connected life despite the transitions and challenges the you may face. Learn how to clarify your dreams and life’s vision—and develop your personalized strategic plan. You will receive individual attention, 3x monthly training sessions, and a destination retreat on the breathtaking island, Martha’s Vineyard. Whatever blocks have been keeping you from creating the life that you’ve longed for can be overcome with the right support, tools, guidance, and accountability in place. This program is based upon the weaving together of Positive Psychology, Mind-Body Medicine and Leadership Training. Participants first learn to anchor themselves in breath work. This helps to establish relaxed attentiveness from which insight, the teaching of strategies, group conversations, and exercises can be gleaned. Participants will learn methods for deepening self-care, self-compassion, profound rest, meditation, mindfulness, self-hypnosis, and the internalizing of positive experiences. This foundation sets the stage for developing skills to build healthier relationships. The focus then shifts to the practice of cultivating gratitude, empathy, forgiveness, strengthening communication skills, discovering your life’s vision, and moving toward that vision with confidence and personal empowerment. These strategies are based on the best of modern science and ancient traditions. With practice participants will “retrain their brains” to be more grounded, present, positive, focused, wholehearted, energetic, resilient and self-aware. Journal writing will be incorporated to track behaviors and create lasting change. The workshops will include talks, dyadic work, group activities, experiential activities with many practical takeaways! With less than thirty minutes a day of practice these profound changes are possible with practice over time. This program offers valuable information that can be readily integrated into busy schedules. Participants will develop deeper personal insight as they learn about the mind-body connection and the cutting edge applications of positive psychology. Abdominal Breathing—This way of breathing is the simplest, most effective, elegant antidote to stress, negativity, and anxiety. By breathing consistently in this way we can transform the way the brain fires and the body reacts. It also sets the stage for optimal learning to take place. Authentic Relaxation: Learn to achieve a true sense of calm, greater resilience, and heightened energy levels. Meditation & Mindfulness: Learn a simple and effective meditation technique that will train your mind to be present and focused. Mindset: Develop a mindset that support you rather than feeds the negative voices within. Your mindset has everything to do with your capacity to find joy, meaning, and success in life. Learn to reframe your thoughts in very specific ways that retrain your mindset. Journalling: Learn a variety of journalling method that can deepen your work during this year-long journey and beyond. This practice is a powerful way to tap into the unconscious mind. Reframing: Reinterpreting thoughts based upon thoughts and data are a vital tool in learning how to be kinder and gentler with oneself. Self-Hypnosis and Visualization Practices: Build positive emotions and learn to effectively manage painful feelings and challenging situations. Forgive and Let Go: Learn a powerful step-by-step forgiveness strategy. This skill when practiced regularly can help you: resolve painful conflicts, let go of past resentments, and successfully move on. "Taking in the Good”: Learn to savor the positive experiences and emotions through a method that will alter the neural circuitry of your brain. In time the brain can become wired for more long lasting happiness and joy. Gratitude: Cultivate the ability to be grateful by learning several practices for building this life-altering skill. Self-Compassion: Learn what it means and feels like to have loving kindness directed at the self. Discover the important differences between self-esteem and self-compassion and the way they impact self-perception and our feelings about ourselves. Empathy: Learn how empathy, a key element of Emotional Intelligence bonds us to others. It speaks to our capacity to be aware of another’s emotions and to “feel with” them. This ability transforms our relationships with others. The Four Horsemen: These four ways of communicating contribute mightily to the demise of relationships. Learn how to reframe each of the four horsemen so that you are building rather than harming your connections with the people in your life. The Four Agreements: After (re)reading this book come to a heightened understanding about how to connect with others powerfully— without diminishing your sense of self. Best Communication Practices: Learn effective, heart-centered listening skills and ways of expressing yourself with honestly and compassion. Identify Your Vision: Through journalling, visualization processes, and group exercises you will identify your vision for the next phase of life. Embody Your Empowered Self: Learn how to live consistently aligned with your core values. Personal Leadership: Build the confidence, skills, and presence you need to lead in every aspect of your life personally and professionally. Build Your Personalized Strategic Plan: Learn how to develop your plan in all of the most important categories for the coming year. By breaking down your vision into goals and then smaller action steps you continue to move the realization of your dreams forward one day at a time. This strategic plan will move you forward regardless of how busy your schedule may be. The community plays a powerful role in supporting you as you grow, explore, and test new ideas and concepts. The sum of the teaching is greater than the parts––for it is within the context of our relationships that we can accurately assess personal growth and our capacity to connect effectively and meaningfully. Retreat on the magical island of Martha’s Vineyard…At this retreat we will have even greater opportunities to integrate and internalize the material experienced and learned. Meetings will be on Zoom (live, interactive, virtual) the first three Mondays of the month at 7:30pmEST. All sessions will be recorded so that if you come late or need to miss a session you can see or review all that happened. There will be a private Facebook group where conversations, homework, ideas, and all else can be shared safely. Homework will be given at each session to practice and internalize the teachings. Homework will not be time-consuming and it will make for a bigger impact. You will receive audios, videos, assessment tools, a reading list that will reinforce and supplement the learning. 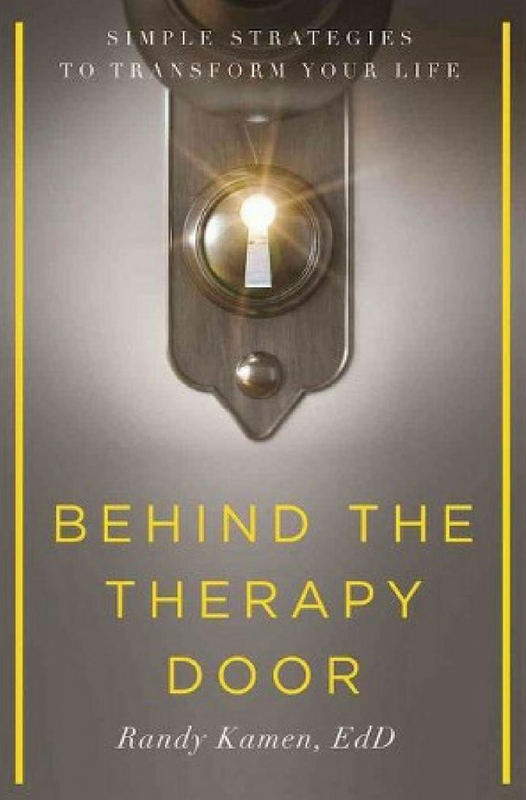 You will receive a virtual copy of my bestselling book Behind the Therapy Door: Simple Strategies to Transform Your Life. The retreat on Martha’s Vineyard is a powerful way to expand and deepen your learning in every area taught throughout the program. The cost for this yearlong, live, interactive virtual program is $997 per month with a $500 deposit to reserve your spot. The retreat will be extra for food, lodging, and travel.